Greenish blue with bright green shimmer and green/blue microglitter. Purchase this product now and earn 20 Loyalty Lustres! 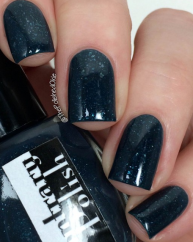 Other: All Contrary Polishes are made in the United States with 5-free (no dibutyl phthalate, toluene, formaldehyde, formaldehyde resin, or camphor) and cruelty-free (no testing on animals) ingredients. 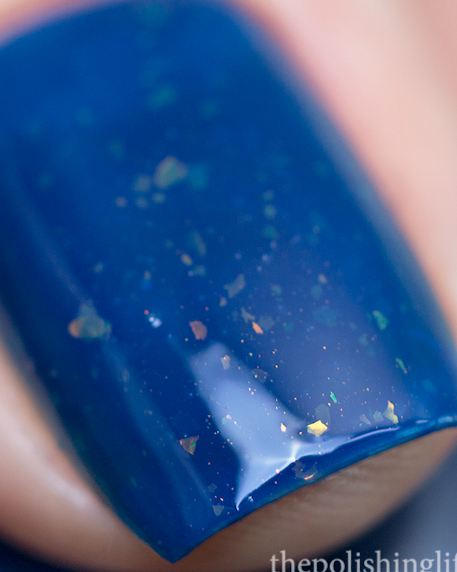 The polishes consist of professional-grade lacquer bases, micas, pigments, microglitter, and/or glitter flakes, and they are hand-blended in small batches. Please shake well before use. Recommended application of thin, even coats (2-3) until fully opaque. Finish with a glossy topcoat of your choice. 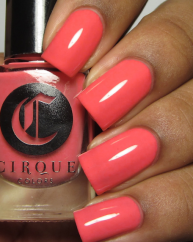 Contrary Polish is an independent nail polish line which specializes in contrasting shimmer. Carrie, the creator and owner, has a passion for polish and strives to walk the line between edgy and elegant with her color choices. Product swatch courtesy of More Nail Polish.